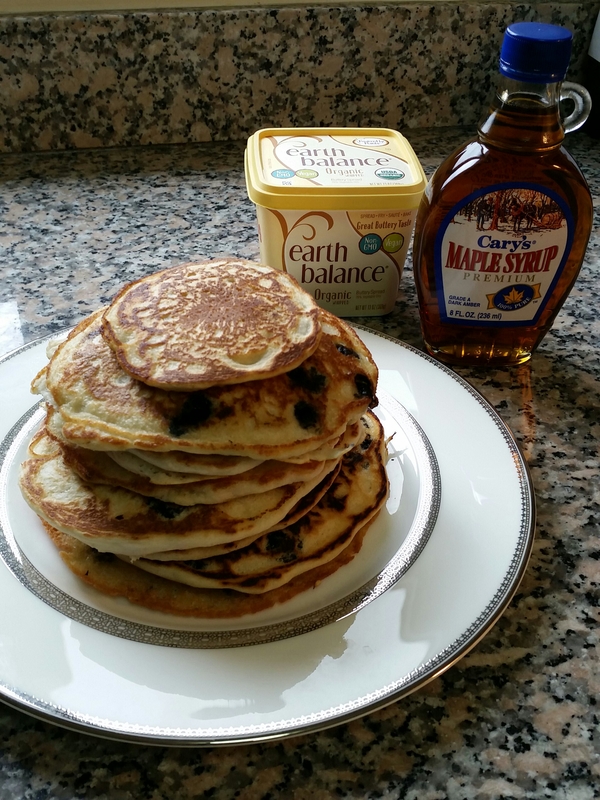 Vegan Blueberry Pancakes and Ceramic Non-stick pans! My phone photo, all other photos by Thomas! As it turned out, my tofu block wasn’t thawed yet, so that put an end to the idea of a savory side protein, but I was most excited to try the pancakes. 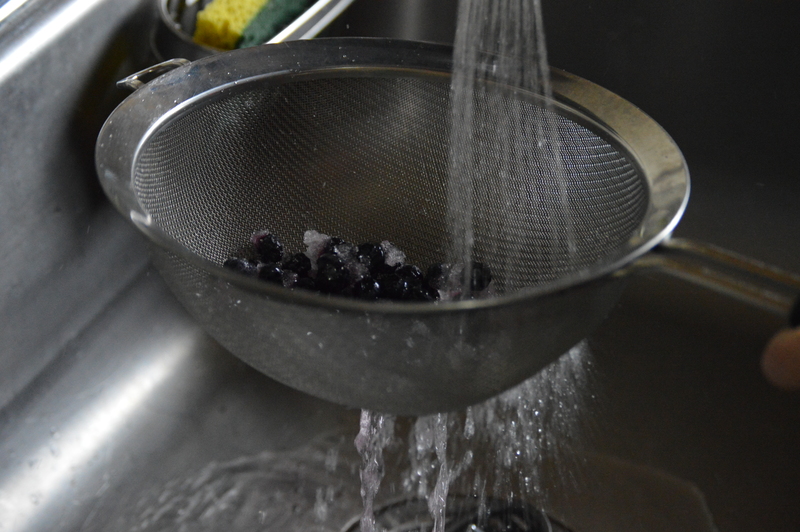 I was using frozen blueberries, so I gave them a quick rinse to get the frost off. 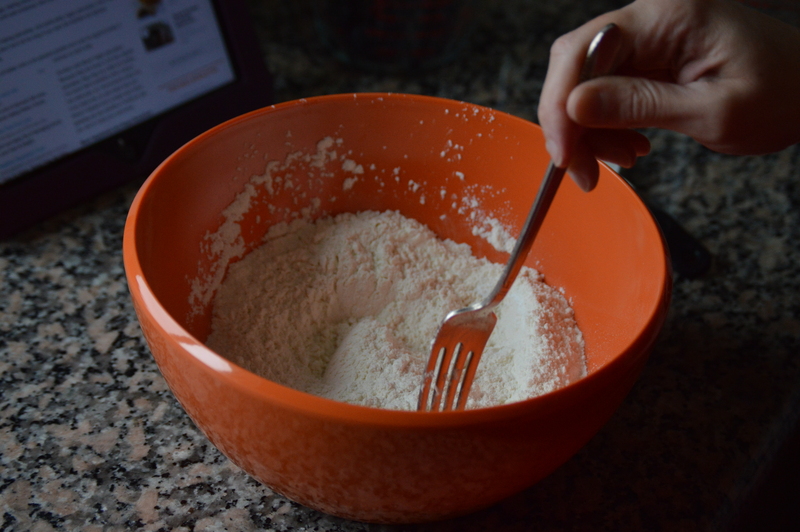 Then I mixed up the flour, sugar, baking powder, and salt. It sounded like an awful lot of baking powder to me, but I use aluminum free kind, so I wasn’t too worried about it. The only thing I subbed was flax milk for the soy milk. I used canola for the oil. 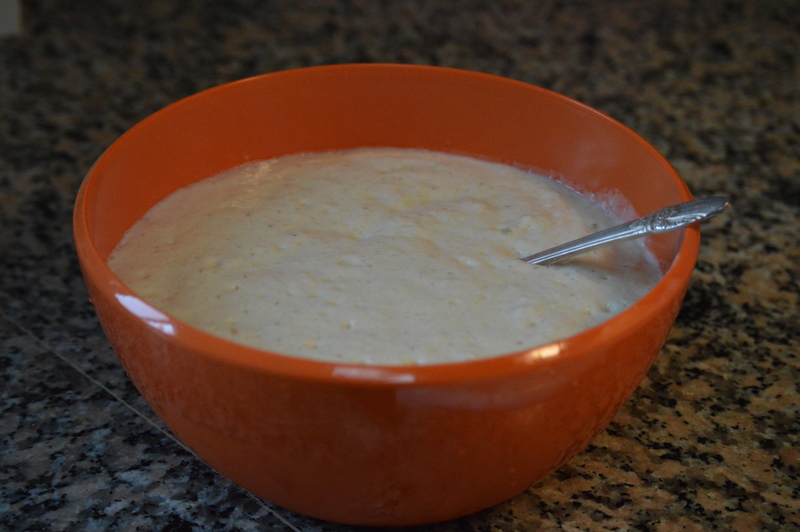 The batter came out really fluffy and bubbly from all the baking powder, and looked really promising! Sadly, it did not work. The one side came out okay, but after flipping, the second side stuck to the pan like crazy! We scraped up the pancake, split it, (tasted good!) and put on some shoes for an emergency trip to Target. I put the bowl of batter in the fridge to keep it away from the cats while we were gone. Well, apparently there is this new thing called ceramic non-stick! I ended up getting a Green Pan brand, and they had an aluminum version with a plastic handle, and an anodized steel version with a metal handle, so I got the latter. Thomas ended up getting a waffle maker with the ceramic non-stick coating too. 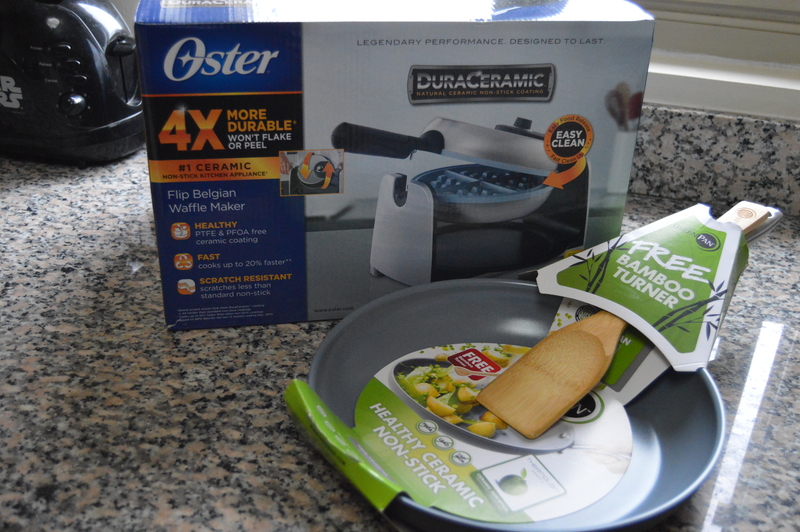 (I’ve always wanted a waffle iron!) Apparently this ceramic non-stick is the future! We haven’t tried the waffle iron yet, but I can tell you about the skillet. This thing worked great! It’s so much lighter than my cast iron, and the metal handle stayed nice and cool. 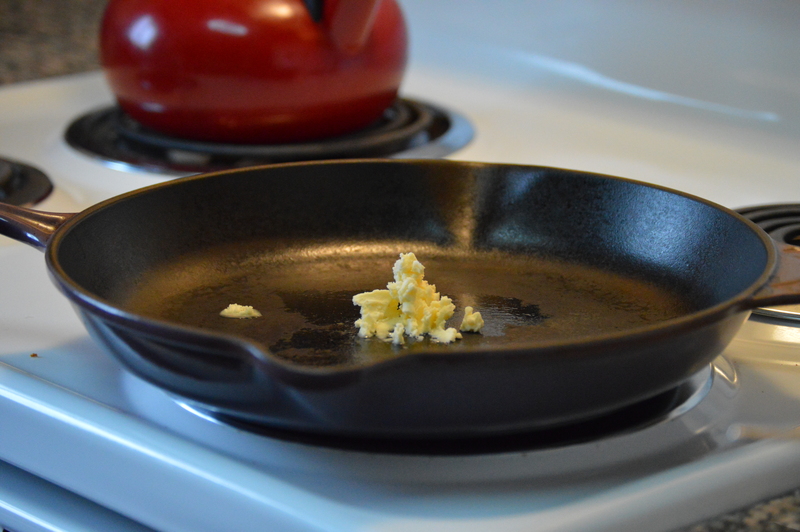 I forgot what it was like to be able to lift a skillet with one hand; it made it easy to flip! 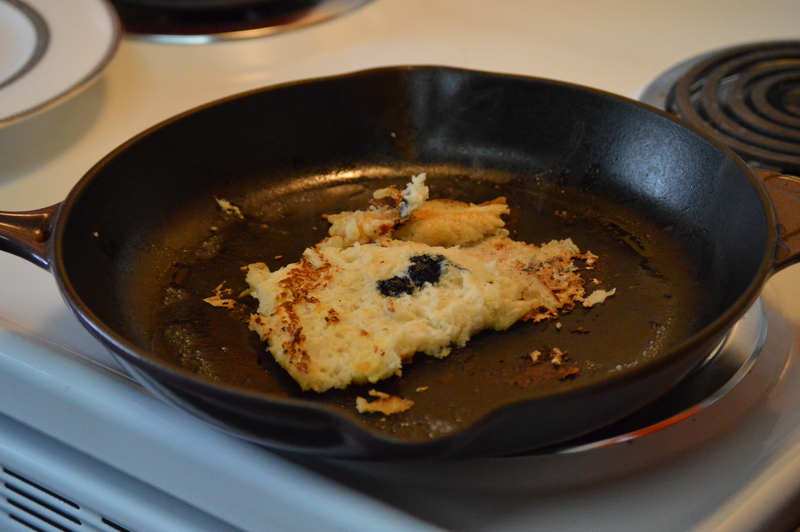 (Pancake pictured post flip!) Clean up was also a breeze! 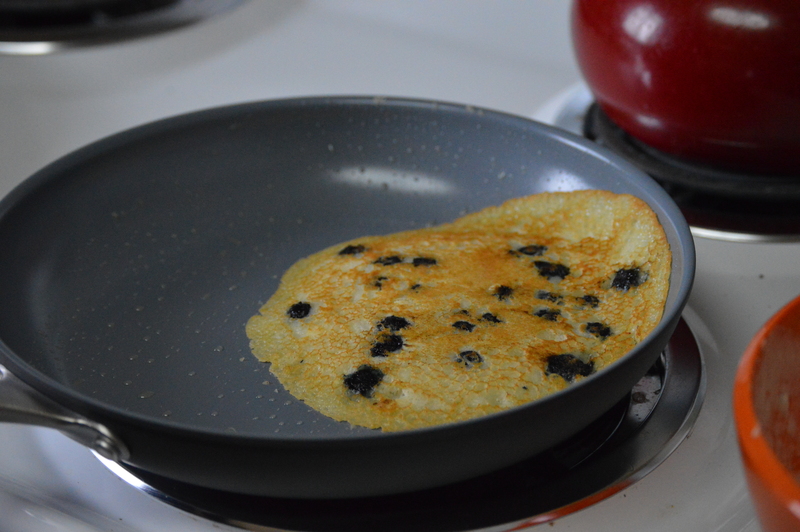 The first pancake came out a bit crepe like. I was still getting the temperature right, and the batter seemed to have settled down while we were gone, and lost some of its fluffiness. 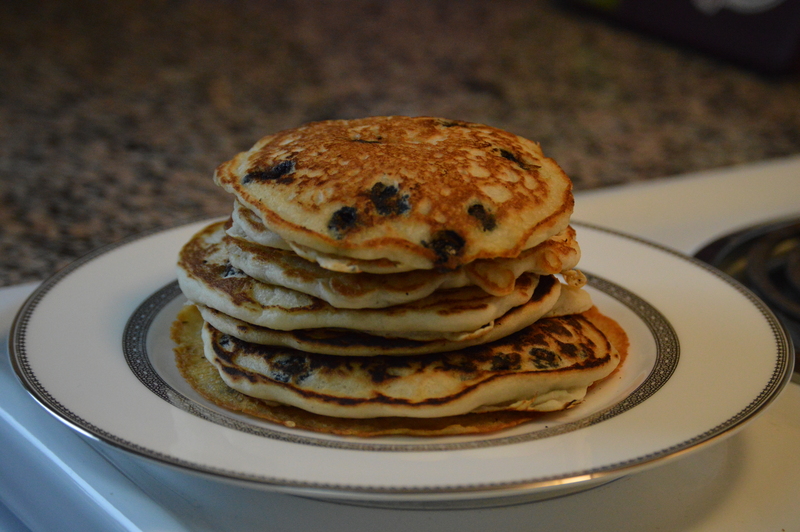 But then the subsequent ones came out much fluffier. Maybe the batter needed to be reactivated a bit? Hard to say, but after this the pancake going got much better! After all was said and done, we had ourselves an excellent stack of blueberry pancakes by 5 pm, that we washed down with a couple of beers! 😉 This was definitely worth that surprise trip to Target, and I’m glad I’ll now have the means to make these babies whenever we like. 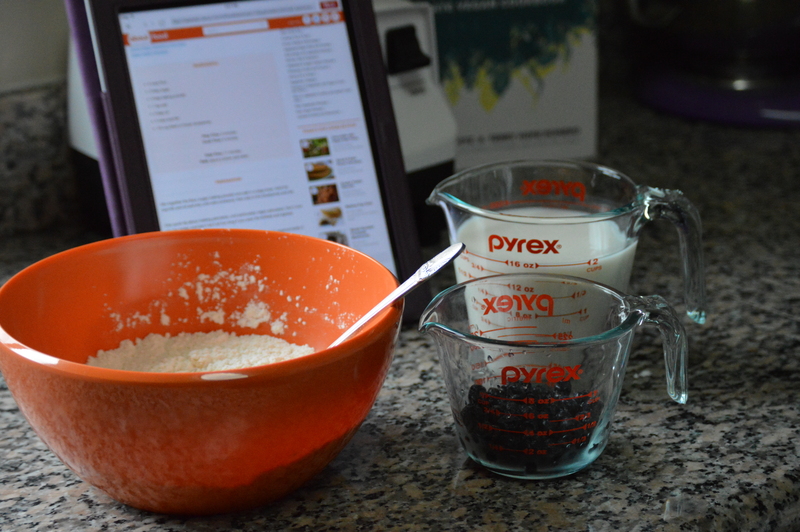 Do you have a favorite pancake or waffle recipe to share? Leave it in the comments below!